I have recently been experimenting with VPN connections, and wish the firewall to behave like a private connection on the VPN. Most guides will tell you to open up the Network and Sharing centre and change from there. However, I am unable to click on the text Public and therefore had to search for another way. 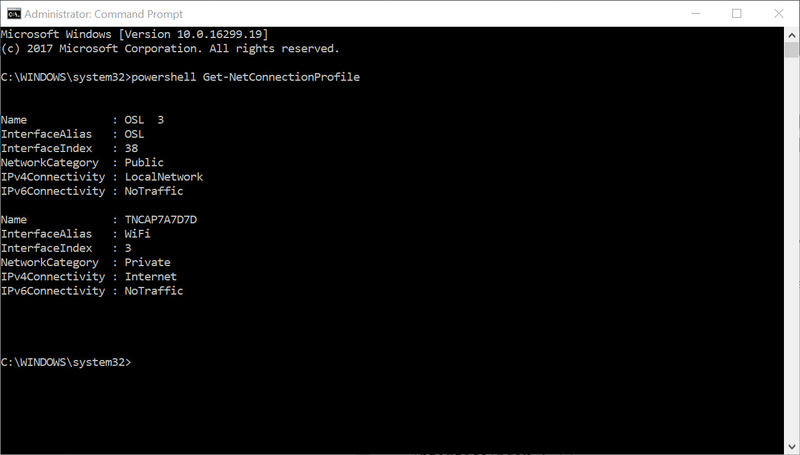 This requires the use of PowerShell (PS), either directly, or through the Command Prompt (CMD). As I am not a regular PS user I will be using CMD. Start PS or CMD as an Administrator. 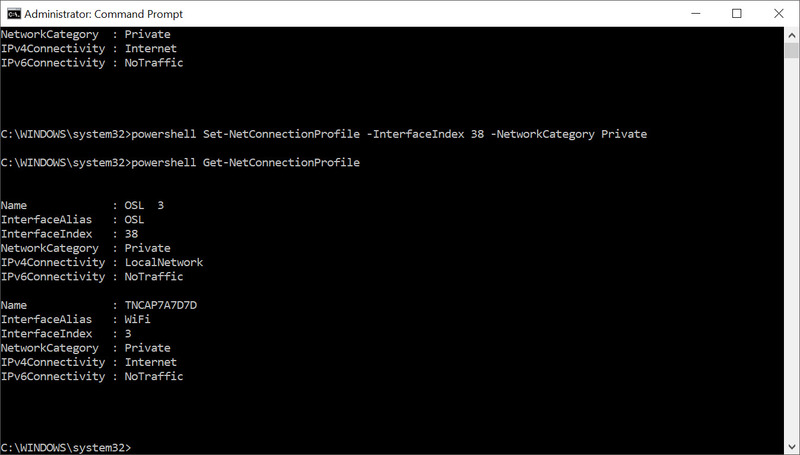 If using cmd add powershell as a prefix. 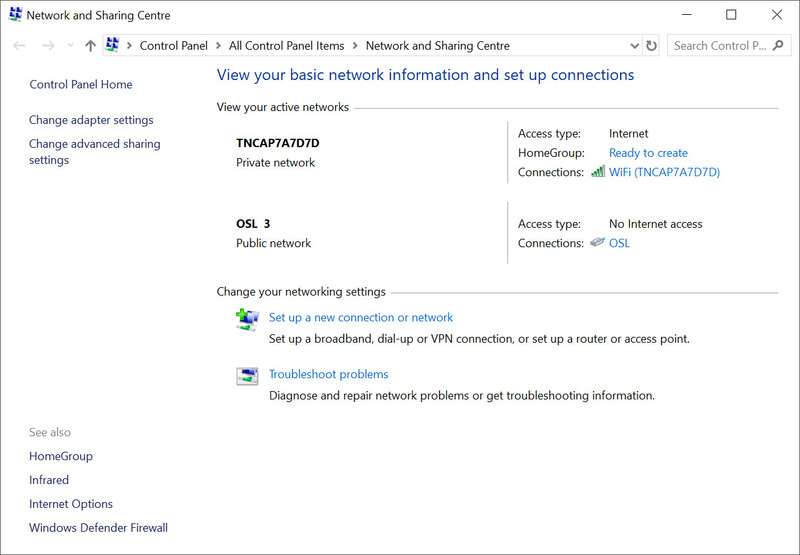 The connection I wish to change has the Name: OSL 3 and InterfaceIndex: 38. 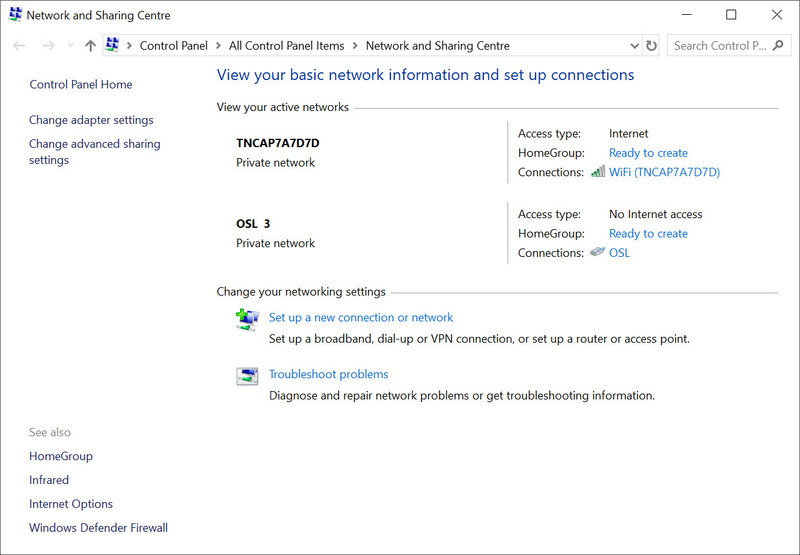 Command Promt with connection "OSL 3" changed to "Private"
The Network and Sharing Centre now shows this network location as private. "OSL 3" now set to "Private"